The apartments and townhomes for rent at Park Place at Saratoga are anything but ordinary. Spacious and fully equipped with modern finishes, this community has what you hope to find in your next living space. Each of our one, two, and two bedroom with bonus study floor plans features an attached, direct-access garage and is pet friendly. 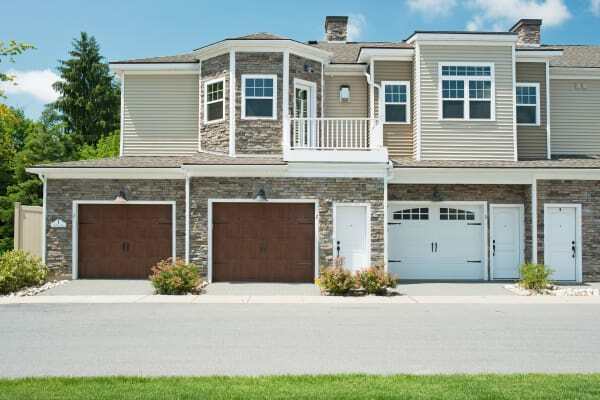 Your cat or dog will love the privacy of a personal patio or balcony, as well as the convenience of living within walking distance of downtown Saratoga, restaurants, coffee bars, supermarkets, and shops. For a truly luxurious living environment, we’ve also outfitted every home with a kitchen fit for a chef. 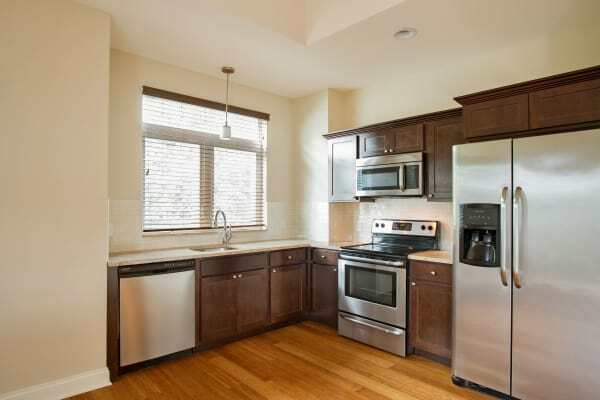 You’ll love the easy-to-clean hardwood floorings and stainless-steel appliances accented by granite countertops. As an added element of convenience, we’ve also include a full-size in-home washer and dryer in each apartment home. Want to know more about the apartment features and community amenities at Park Place at Saratoga? Contact us today to schedule your private tour.